Nicolai Hartmann wrote about epistemology, ontology, ethics, the philosophy of mind, and natural philosophy. 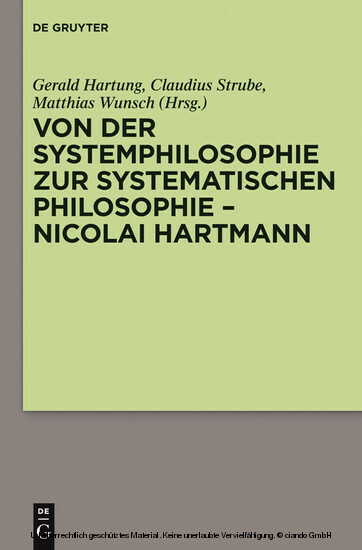 This volume takes the broad view that Hartmann’s work in all of these fields can be seen as a farewell to system philosophy and the founding of a model for a new systematic philosophy. Gerald Hartung, Claudius Strube und Matthias Wunsch, Bergische Universität Wuppertal.